PMC or, precious metal clay and silver clay, was invented in Japan. The silver is reclaimed from the film and medical industries where it is sometimes a waste product. This industrial waste is reprocessed by a complex system. The silver is extracted out of the waste material and is ground into a fine powder then mixed with organic binders and water. This resulting clay-like material can be shaped, moulded and sculpted into your chosen designs. It progresses through a drying and refining process. When it is kiln, torch or gas hob fired, the binders burn away leaving 99.9% pure silver ready to be hallmarked. Craftworx offers a selection of courses suitable for the complete beginner through to the advanced enthusiast and professional. Our target and project based workshops are divided into four different expertise levels to ensure each of our students are able to learn professional techniques and take new skills away with them. Whatever your level, there’s a Craftworx course for you! Aimed at the experienced enthusiast, active artist or professional tutors, these classes are delivered by visiting expert tutors that will be teaching unique techniques and projects that they have developed. We aim to enhance your existing skills and truly challenge your abilities so you leave the studio with new ideas, fresh expertise and inspiration for your own creations. If you feel you have a good level of ability but you definitely have areas in which you could improve, our intermediate courses are ideal for you. 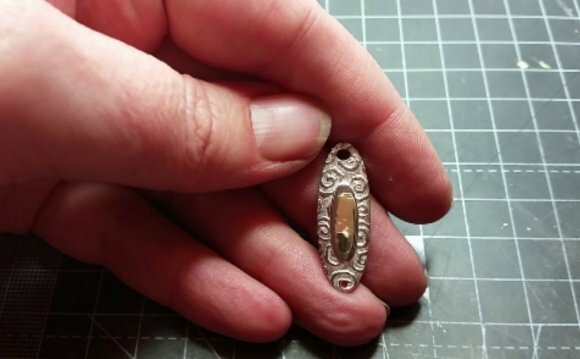 We will assume you have a basic level of understanding and experience in working with metal clay and will help you to expand your skill set and knowledge, so you can wow your friends and family with your new creations. Aimed at the compete beginner with little or no experience of getting creative, we can help you to start to understand and improve your confidence and teach you some of the basics, so you can create simple pieces that can be repeated easily. We promise you will feel a real sense of achievement when you leave the studio and you will be confident enough to start applying your new skills at home! How to make Metal Jewelry?